A few days ago, I was told that a pair of tawny owls living close to the centre of Wakefield have young in the nest. The owls are using a nestbox in a large garden. 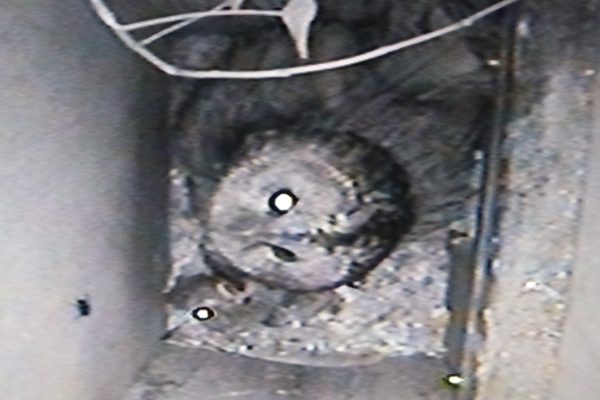 The box has been there for about seven years but the owls have not managed to produce young before this year. If you look closely to the right of the birds head in the following clip, you will see the movement of a chick. Early this week there were two chicks but a third egg has now hatched. The male is obviously bringing sufficient food to the female as a number of items of food can be seen whenever the female adjusts her position in the box. In the following picture, the eye of a small mammal can be seen at the bottom left. 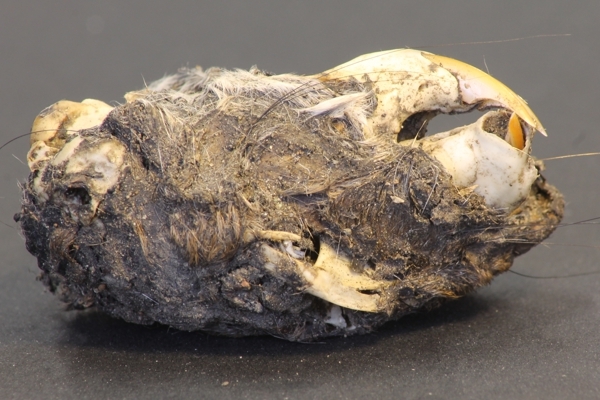 The owls eat small mammals and the following picture shows that, amongst other things, they prey on rats. Pellet produced by Wakefield tawny owls. Other recent pellets have contained lots of bird remains. 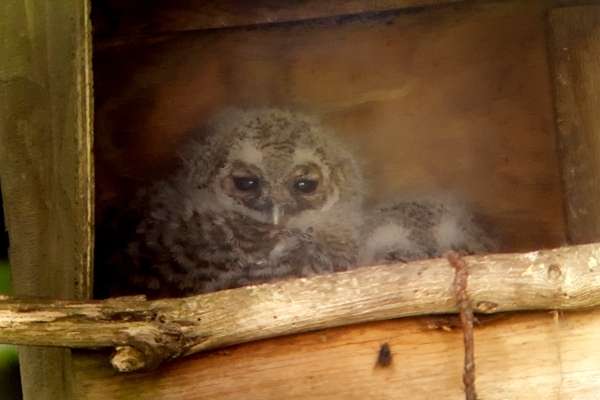 Elsewhere, tawny owl chicks have been leaving the nest in recent weeks, so these Wakefield tawny owls are quite late with their breeding. I was a bit surprised, therefore, to find another nest, containing two young, yesterday in Ackworth. I was alerted by the alarm calls of blackbirds coming from a clump of trees and, on searching carefully, I located an adult tawny owl. Later in the day, I heard more alarm calls and I noticed a section of intestine hanging from the front of a kestrel nestbox that was put in place a few years ago. A rise in the ground in the adjacent field allowed me to look straight into the box with binoculars and I saw two young tawny owls looking back at me. The local tawny owls obviously preferred this open-fronted box to the more conventional tawny owl box that I put up nearby. This entry was posted in Nature notes by Francis Hickenbottom. Bookmark the permalink. Hi! I’m not sure if this will be seen but I thought I would send a message! I currently live in wakefield close to QEGS in town and every night I’ve heard an owl call over the last few weeks! I’ve finally figured out that it’s a tawny owl and found this article! I thought you might like to know that the pair are obviously still around and very active! Thank you for the information, Kathryn. The owls mentioned in the article nest in a garden very close to QEGS and I expect that they aren’t the only ones in town.